The City of Thompson, and other signatories, signed the Aboriginal Accord on June 21, 2009. As a City, the Aboriginal Accord forms a part of our operations and planning. In 2017, the agreement was renamed the Thompson Indigenous Accord. 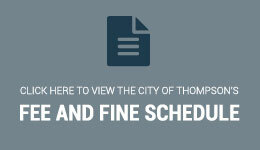 The City of Thompson worked in Collaboration with the Thompson Urban Aboriginal Strategy to create the Thompson Indigenous Accord through community involvement and consultation. This collaboration continues through ongoing support and engagement of partners. The Accord is a ground-breaking document that recognizes the role of indigenous people in our history and affirms our Commitment to strengthening relationships with indigenous governments and peoples. The Thompson Indigenous Accord is one of just two of its kind in Canada today. As a living document the Accord is not a single one-time event, but an ongoing responsibility adopted by signatories and partners who report the success of the commitment and future goals annually. Since it inception, several partners have joined forces with the signatories to push the Accords' commitments and objectives forward for the betterment of all residents.